Ferrari: Alonso having his front wing adjusted following his installation lap. Alonso, on the primes, is taking his time getting the tyres up to temperature. On the options Alonso is seen weaving following a fast lap. Force India: Mercedes engines are thought to be strong here, but pace at the moment doesn’t reflect this so maybe race pace is being tested here. Hispania: Ricciardo is out to complete as many laps as possible to make up for lack of running yesterday, but with 5 minutes to go the car is found in the garage being taken apart in an effort to rebuild it for qualifying. Lotus: Chandhok explains his steering wheel issue from yesterday morning as electronic. McLaren: Both have new engines for this weekend, meaning they have 1 new engine left for the rest of the season. Button and Hamilton will be running the same set up, as Button had an issue with his yesterday. Button now reporting even more oversteer and the team are working furiously on the front wheels to get it sorted. Mercedes: Schumacher £400 fine for speeding in the pit lane yesterday. Schumacher spun at turn two and continued on his way, Rosberg took on the sleeping policemen there the lap before. The pair are looking very fast on light fuel runs and new options. Schumacher is apparently not happy with his set up. Red Bull: The team broke curfew to work on Webber’s car last night. The team has a similar front wing to McLaren this morning. 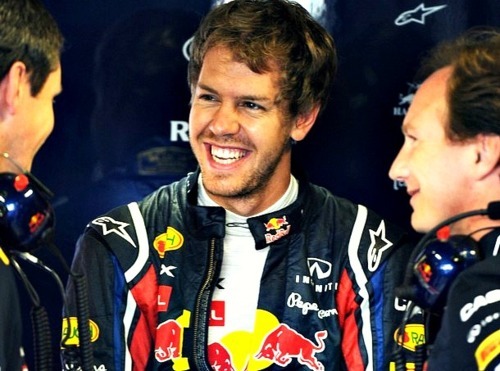 Vettel has taken his 6th new engine for the season, but Webber has elected not to. Vettel changing the rear camber with 20 minutes to go. Renault: Petrov is putting in some great laps as the team go for a low downforce set up for straight line speed, but it doesn’t last as the front runners get going. Senna almost ended up in the gravel at Lesmo 2. Sauber: It was a transmission problem that forced Kobayashi to stop early yesterday. Toro-Rosso: Buemi is back out after his collision with the tyre barrier yesterday, and Alguersuari keeps ahead of him. Williams: Barrichello had an issue with his mirrors. Virgin: D’Ambrosio is reportedly using a new chassis and sets the first timed lap. Glock took the sleeping policemen at turn 1 on. Trulli is out first in front of his home crowd and the rest of the field soon follows. Button and Ricciardo are still trying to fine tune their cars and make up for lack of satisfactory running time this morning. Trulli sets the first time, using a passing Sauber to grab a sneaky tow. Traffic is going to be a huge issue today around the short circuit, and as the front runners get up to speed with Button and Vettel swapping top spots Webber remains in the garage, possibly preserving an older engine. Maldonado sends the yellow flags flying as he spins out of Parabolica and loses his front wing, luckily he’s right at the pits so he dives into his garage. Webber finally emerges with half the time remaining, and after a quick change Maldonado returns to the track too with 4 minutes left. McLaren’s Hamilton executes a sub 1:24 time to put Vettel is a less familiar P2 with 4.5 minutes left. Ferrari are also looking handy with both driver in the top 6, and those in the drop out zone are the familiar faces of Virgin, Hispania and Virgin. With 2.5 minues left Maldonado is fighting to leave the drop out zone, he manages to escape the fight not to be the 7th. Noticeable strugglers are Buemi and Kobayashi, but as the flag falls they just edge themselves out of the danger zone, pushing Alguersuari out to join the first to leave. Out in Q1 are: ALG, TRU, KOV, GLO, RIC, LIU and all are inside the 107%. Maldonado is first out this time around, and it seems that Glock has a DRS issue in Q1 where the flap opened and didn’t close. Vettel is apparently running a shorter gear ratio to give him the edge around the slower corners, but hold him back in the straights. Either way Red Bull is very strong in the second and third sector, which seems to be catching McLaren out. Rosberg and Schumacher start to show what Mercedes could bring to the race when he gets in amongst the front runners, let’s see if their race pace can finally match qualifying performance. With 2 minutes to go the top 7 are all in the pits, with Hamilton staying out to get himself safely into Q3 as he’s running in 8th. Sauber who were impressive on Friday, are now languishing near the back as the track pulls away from them. 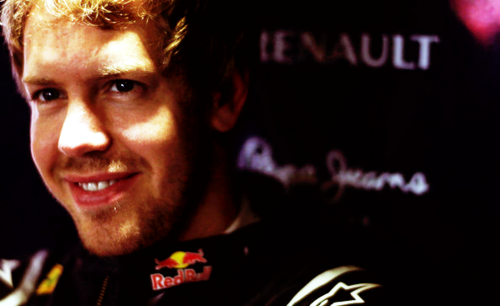 Hamilton gets 3rd behind him team mate, but Vettel is the only one to go sub 1:23. Senna is dashing for the line for his last lap, and just gets himself into Q3 in 10th just behind Petrov. Out in Q2 are: DIR, SUT, BAR, MAL, PER, BUE, KOB. Ferrari get out to put a show on for the home crowd, Massa is giving Alonso a very friendly tow around the track, but streaks ahead leaving little for Alonso to use. Although Alonso finds something and gets sub 1:23 which is quickly beaten by Button. Webber is again late to leave, further indication that his older engine might hurt him. Vettel leaves absolutely nothing on the table as gets skiddy coming out of Ascari but still goes quicker in that sector, but goes wide in Parabolica and doesn’t improve his time. He also has a KERS temperature issue, he dives in and out of the pits and find himself behind Senna and a lump of traffic. Nine cars are out on track and it’s a last lap shoot out for pole position. Hamilton can’t improve further as he has a massive lock up in the second chicane which then compromised Schumacher and Ferrari. Webber’s late run didn’t do him any favours as his starts on the third row, but he’s got a ghost from the past haunting him with intermittent KERS on his last lap, but he takes the brunt of the criticism on his sizeable chin. Alonso does the best he can with a car he still feels is not quite there on set up, with Massa right behind they could do something special. Renault had good day, with Petrov getting his job done very quietly, a great 7th means he’s the best of the rest which pulls at least one Renault ahead of Mercedes (Senna dodn’t set a time). Vettel on pole shouldn’t be a surprise, but this is Monza! However the kicker is that he has 0.5 seconds over everyone else.